Let’s talk about theophoric names. You may have spotted that “theophoric” is a Greek word; it means “Deity-bearing.” In other words, the name of a Deity is incorporated into the name of a human being. Isidora is an example. It means “Gift of Isis.” In the ancient world, a name like that would probably have meant that the parents credited the Goddess with helping them conceive, so the child was Her gift. Since for me Isidora is a “taken” name rather than a given one, I take it to mean that the Goddess has given me many gifts. Of course, the simplest form of naming for the Goddess would be to just adopt Her name. 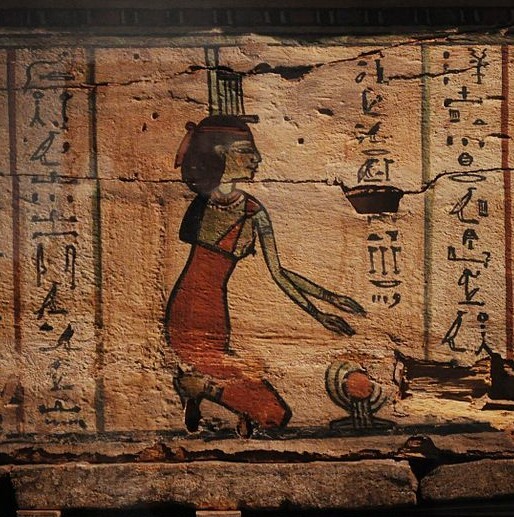 There was at least one ancient Egyptian queen named Isis (Iset, in Egyptian), a queen mother named Isis, and a God’s Wife of Amun named Isis (who was also a royal princess). There may have been a whole slew of ordinary Egyptians so named, but alas, we have no records of them. This is the most common hieroglypic writing of Isis’ name in Egyptian. I recently came across a cache of other Isis-bearing names, some of which I’d like to share with you. They’re in Kockelmann’s Praising the Goddess. Rather than stringing you along for a paragraph or two, I want to cut right to the chase and tell you about the best Isiac theophoric name EVER. 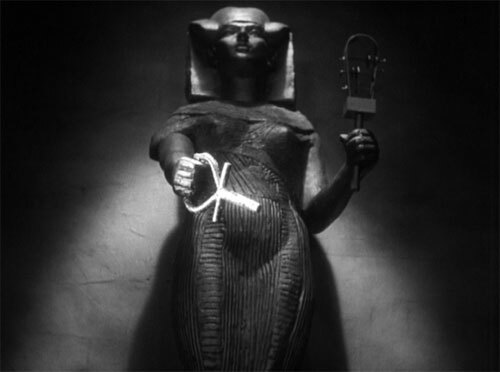 Well, we also have records of an Ankh-es-en-Iset: “She Lives for Isis.” Oh my Goddess! I think I’m going to have to adopt that as my super-secret Isiac name or something. Ankheseniset! Two of my favorite things have come together in one very magical name! Looking at these names, it won’t come as a surprise that Egyptians were big on shortening their names and calling each other by nicknames. 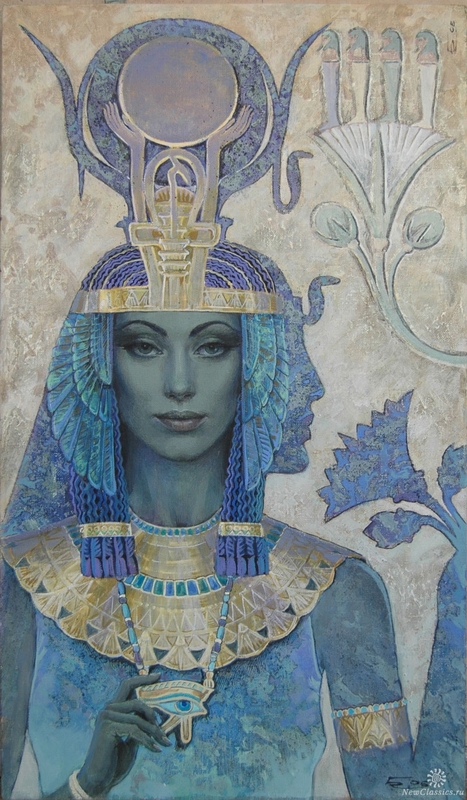 A regal-looking Isis by Russian artist Nicholas Burdykin. See more of his work here. Daughters of IsisGift of IsisGoddess IsisIsidoraIsisIsis MagicNamed for IsisPeople named for IsisSons of IsisTheophoric namesTheophoric names with "Isis"
Previous Previous post: Is Isis a Moon Goddess or a Sun Goddess? Next Next post: So how did the worship of Isis spread throughout the ancient world? I never put two and two together with that name form the Mummy films, since the characters is so different in the Brendan Fraser remakes. They pronounced its something like a-KNOCK-soon-amoon in that one and I was fond of her slinky Femme fatale nature. I have to tell you, I was overjoyed when I read that you liked the Boris Karloff Mummy. I admit that my initial burst of enthusiasm for the Gods of Egypt came from watching The Mummy and The Mummy Returns. Cheeseball yes. Inaccurate yes. hey I was young. But the next day I walked into a new age bookstore and asked the girl at the counter “Do you have anything on Egyptian magic? What I did not know was that she was a devotee of Isis; she just smiled and took me to the section which contained you just-published Isis Magic. I never put two and two together with that name form the Mummy films, since the character is so different in the Brendan Fraser remakes. They pronounced its something like a-KNOCK-soon-amoon in that one and I was fond of her slinky Femme fatale nature. I have to tell you, I was overjoyed when I read that you liked the Boris Karloff Mummy. I admit that my initial burst of enthusiasm for the Gods of Egypt came from watching The Mummy and The Mummy Returns. Cheeseball yes. Inaccurate yes. hey I was young. But the next day I walked into a new age bookstore and asked the girl at the counter “Do you have anything on Egypttian magic? What I did not know was that she was a devotee of Isis; she just smiled and took me to the section whcih contained you just-published Isis Magic. LOVE that story! Thank you for sharing it. I have a collector’s edition of ALL the old mummy movies, but that first one is the one I love.